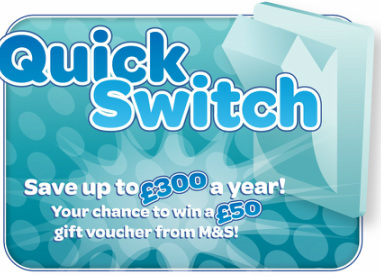 Consumers can save up to £300 a year by switching their gas or electricity tariff. 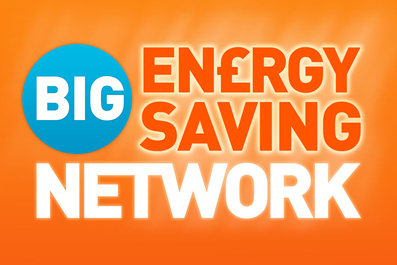 Grace Debt Advice, as part of the Department of Energy and Climate Change Big Energy Saving Network, has launched the Quick Switch campaign to help vulnerable residents of Richmond and Hounslow take advantage of the savings that are to be had. The actual switching process is easy but many consumers are intimidated by complex tariffs and unclear contractual terms. If you are a resident of Richmond or Hounslow and would like to switch but are not sure how, you can book a switching appointment with an adviser who will take you through the process. This service is available to carers, single parents and people living with a disability or illness. A booking can be made by calling the charity on 0207 183 4456 and selecting option 1, or by filling in the booking form which can be found here. A £50 M&S voucher is up for grabs. To enter the draw to win, all you have to do is attend a quick switch meeting, try switching and then tell us how you found the experience. Phone or or go on-line to an accredited switching service (see list below) or book a switching session with a Grace Debt Advice adviser and find out how much money you can save. If you attended a quick switch meeting then tell us how you found the process by clicking on the button below and filling out a simple form. It shouldn't take more than 30 seconds of your time (honest we timed it). The first draw takes place on the 1st of April and the winner will be announced on the Grace Debt Advice website. The competition is open to carers, persons living with a disability or illness (physical & mental) who are residents of Richmond. The terms and conditions of the competition can be found here. Comparing and switching energy tariff or provider can be a confusing process. But using a price comparison site, particularly one signed up to the Ofgem Confidence Code, can help you to find a better deal and ensure you’re not paying more for your energy than you need to.